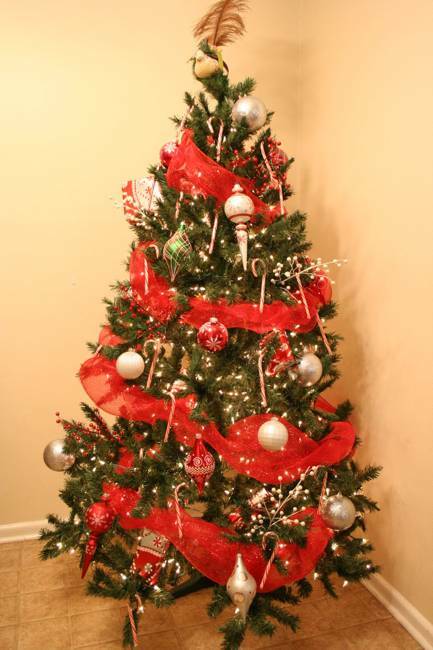 Christmas tree decorating with ribbons offers creative, colorful and fun ideas. 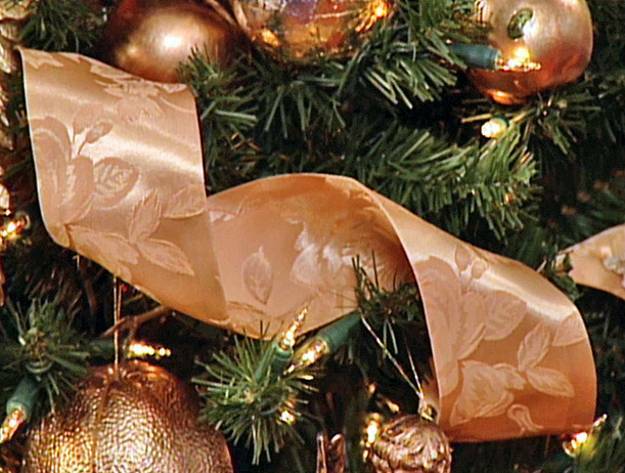 Festive ribbons are terrific for quick, easy and bright Christmas tree decoration. Shiny ribbons are an excellent way to add innovative touches to holiday decor and emphasize alternative Christmas decorating ideas. 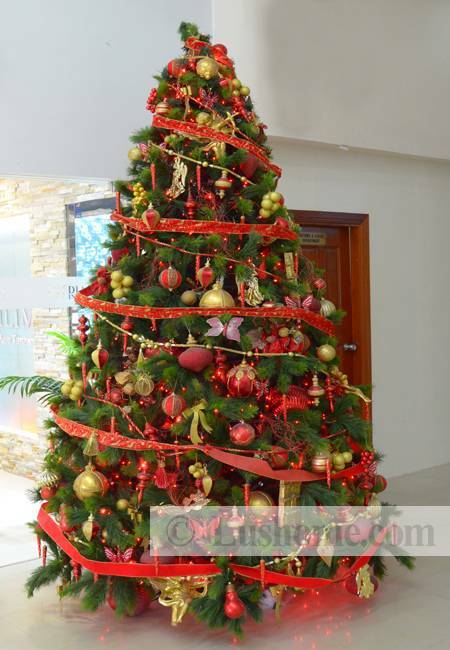 Christmas tree decorating with ribbons is versatile and suitable for hanging from the ceiling upside down Christmas trees, miniature or traditional Christmas trees. 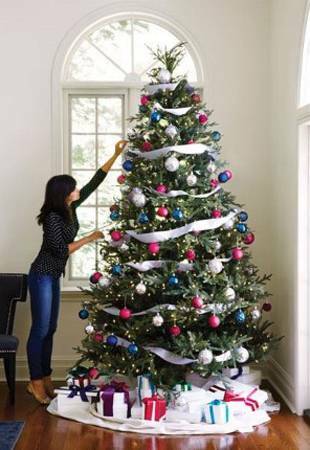 Bright, colorful and sparkling ribbons in all colors bring joy and surprise into winter holiday decor and jazz up the season with unique, beautiful and modern ideas for Christmas tree decorating. 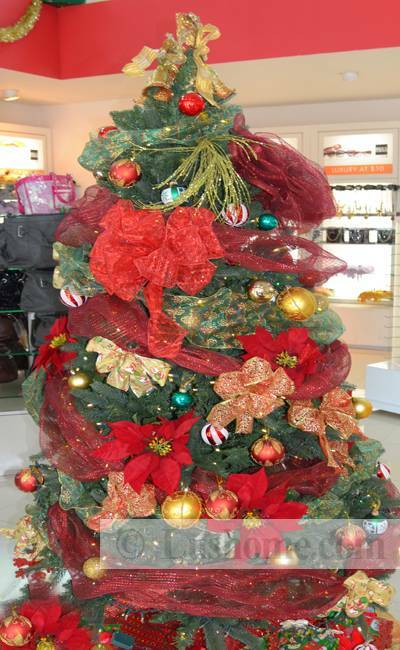 Christmas trees decorated with charming ribbons look attractive and unusual. A combination of Christmas tree ornaments and ribbons in monochromatic or complimenting colors sets up gorgeous centerpieces fr holiday decor. 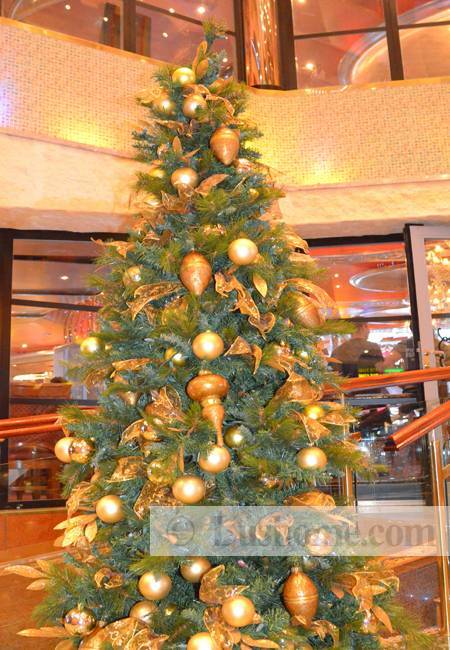 All Christmas trees in a variety of styles, genuine and artificial, traditional and miniature Xmas trees, decorated with festive ribbons, look stylish, romantic and interesting. Old-fashioned Christmas decorations work well with ribbons in white and silver gray colors, green, golden and red color shades. Shiny ornaments and matching ribbons create elegant winter holiday decor. Ribbons in red or green color, made from sparkly gold or silver material, are especially dramatic, combined with Christmas tree ornaments in retro styles. Decorative ribbons in various colors create a gorgeous, bright, festive and traditional look. 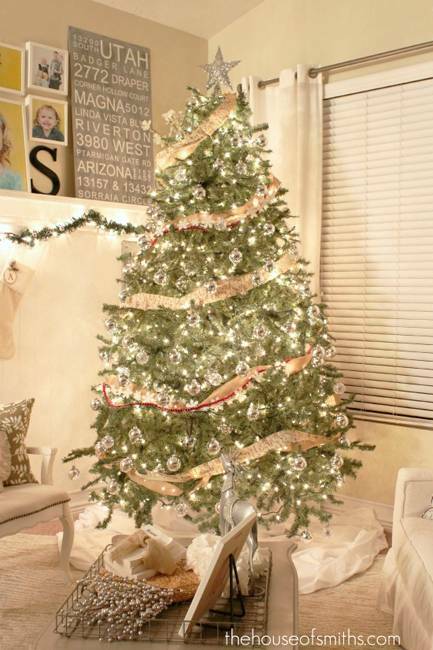 Ribbons in rich or pastel colors are terrific Christmas decorating ideas in contemporary style. 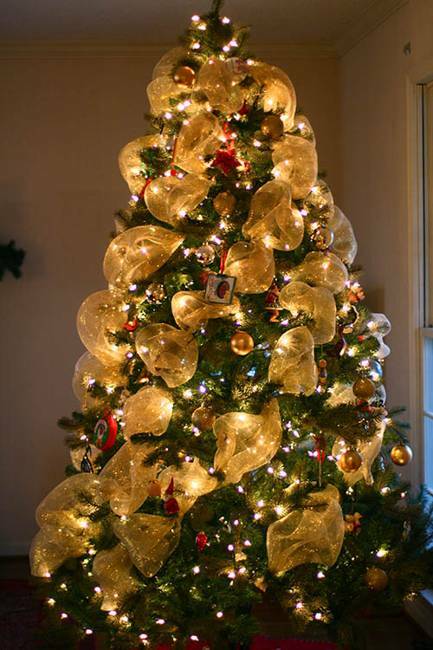 Christmas tree ribbons look wonderful with natural and handmade Christmas tree decorations, adding a soft touch to holiday decor. 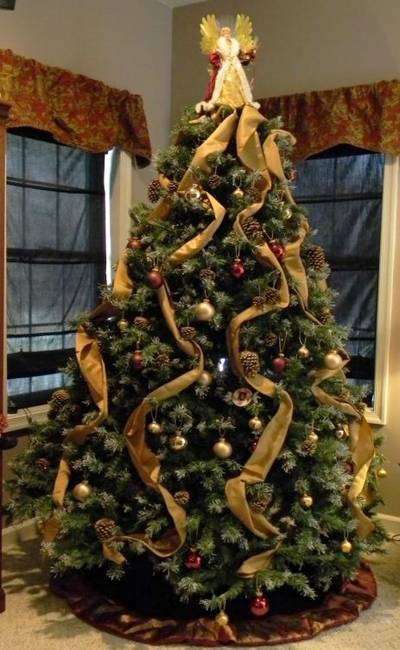 Ribbons are perfect ideas to liven up a Christmas tree ad add elegant and simple touch to Green Christmas decor. Pine cones, Christmas crafts, nuts, fruit, cookies can be combined with colorful ribbons, offering bright and cheap Christmas decorating ideas for Green holiday. Flowers and miniature animals, birds or snowflakes are great for Christmas tree decorating, enriched with colorful shiny ribbons. 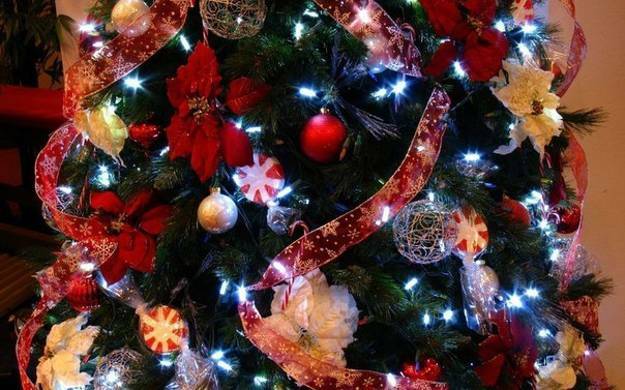 These types of Christmas tree decorations are unique and charming, adding personality to your winter holiday decor and creating amazing displays celebrating this fabulous holiday. Ribbons are inexpensive and easy to work with. 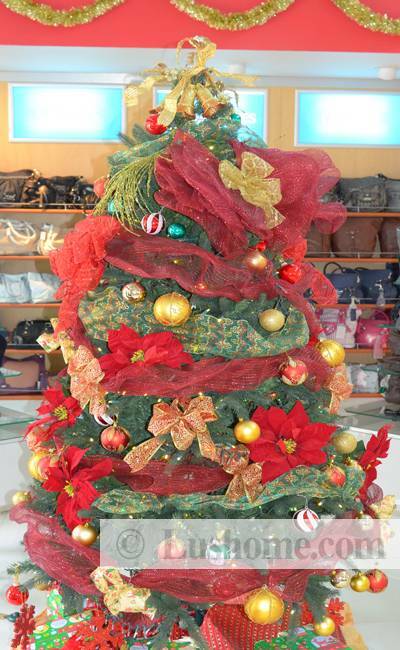 They are ideal choices for kids and adults, for all who wants to decorate their Christmas tree with something other than traditional ornaments and lights. Ribbons are perfect for creating unique tree toppers, offering another fun way to add character and charm to your Christmas tree decorating. Flowers and bows made with ribbons are gorgeous alternatives for angel or star tree toppers. Creative Christmas tree toppers made with bright ribbons are a fantastic way to reflect your playful and personal Christmas decorating style. 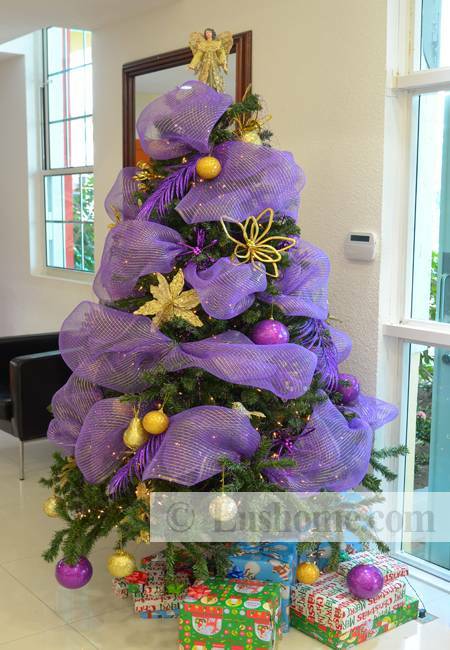 Brightly colored ribbons are ideal for Christmas trees in retro styles. 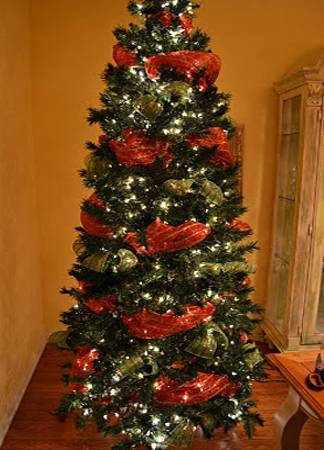 Festive ribbons are a good choice for stress free Christmas tree decorating. 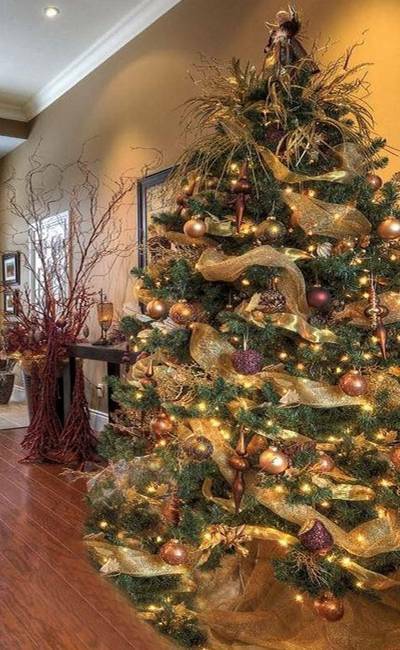 They add plenty of holiday pizzazz and offer stylish and cheap ideas for creating impressive holiday decor. 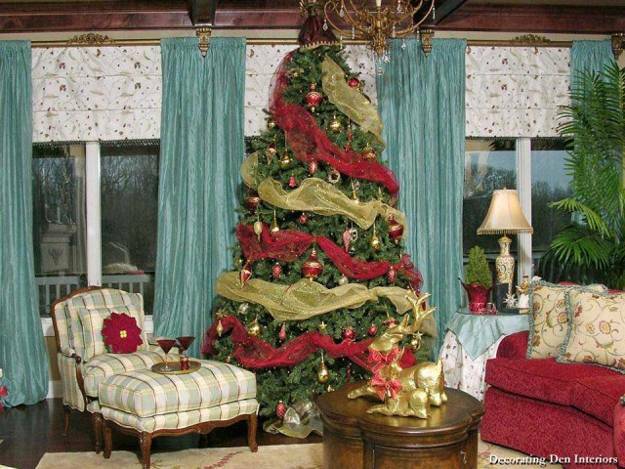 Existing Christmas tree ornaments and lights, green holiday garlands and Christmas wreaths appear more interesting, fresh and interesting in a combination with ribbons. 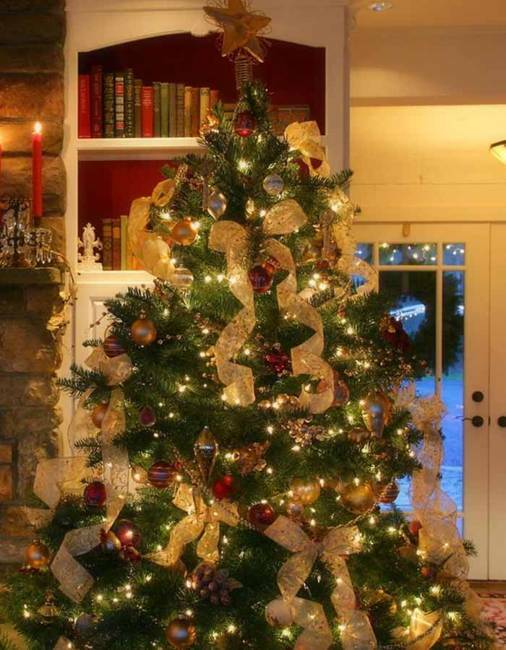 These unique Christmas tree decorating ideas are sure to impress your family and guests, while creating spectacular holiday centerpieces, saving your money on holiday decor and adding stylish accents to Christmas decorating.